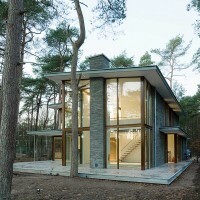 Engel Architecten have recently completed Villa Kerckebosch in Zeist, a small town in the centre of the Netherlands. 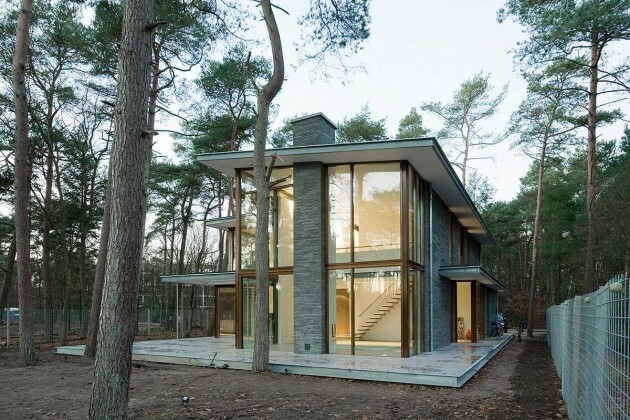 Amsterdam based studio Engel Architecten has recently completed this residence in the wooded surroundings of Zeist, a small town in the centre of the Netherlands. 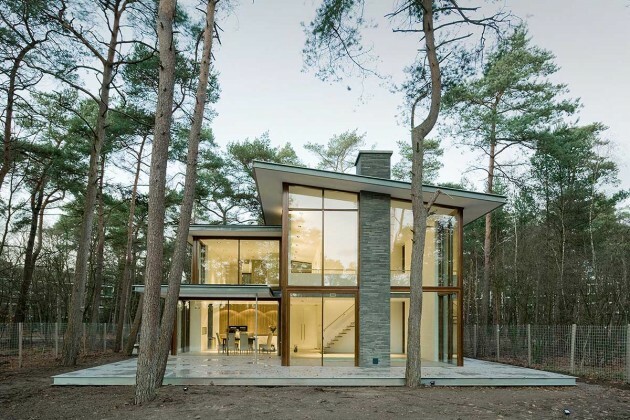 By carefully configuring the design and choosing the materials and colours, Engel Architecten has tried to blend in the building with its surroundings rich of pine trees and heath. 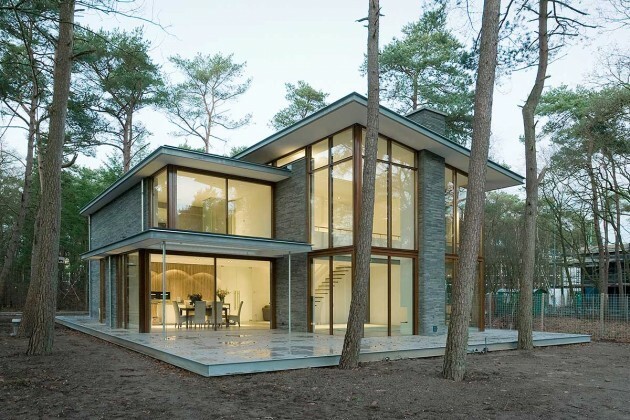 This villa is designed for a lot in a newly developed residential area named Kerckebosch, east to the centre of Zeist . 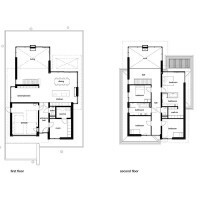 The surroundings are characterized by wooded areas adjacent to a newly created open moorland. The trees at the site consists mainly of pine trees interspersed with a few American oak and beech. 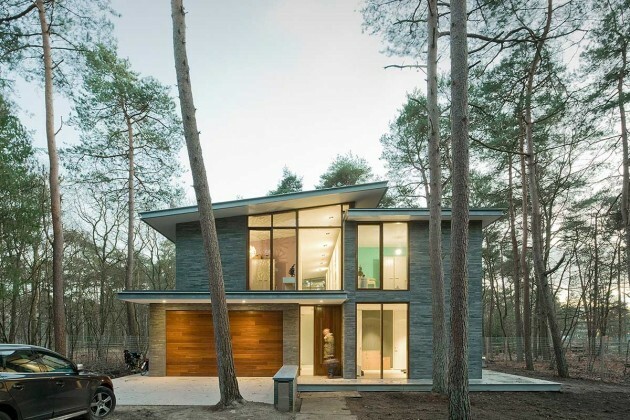 The design of the house is inspired by this wooded area and the character of the moor. 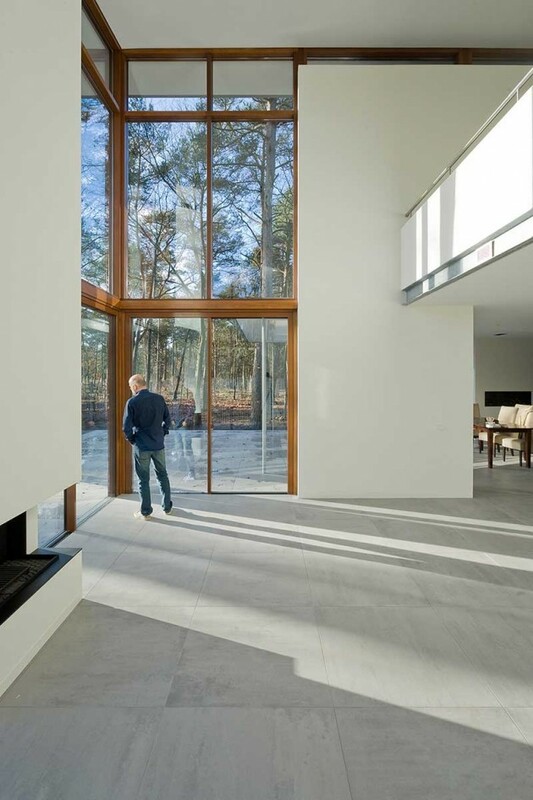 The soft and natural shades of the brickwork and the contrasting colours of the window frames blends in well with the atmosphere of both the forest with all of its different shades of brown and grey, and the moor with its pastel shades and sandy colours of the bottom. 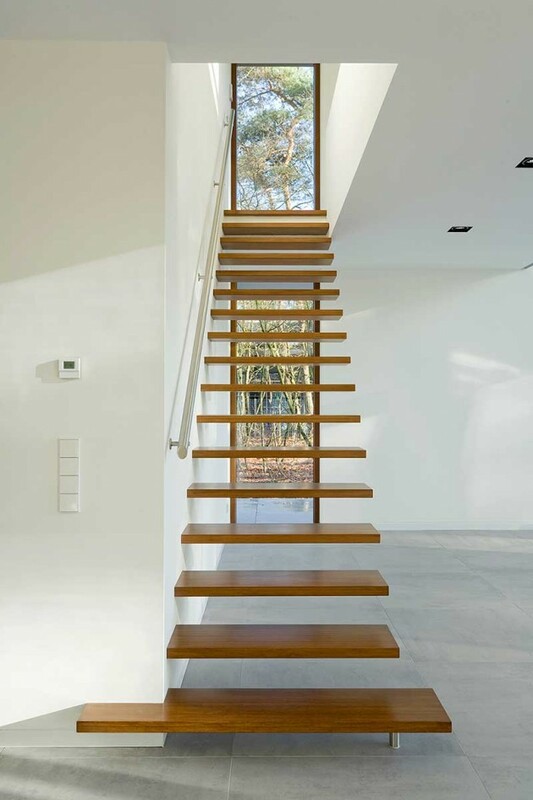 Besides the materials used, the strong vertical and horizontal lines in the design also have been taken from the characteristics of the environment which is rich of high straight vertical trunks and horizontal lined branches and treetops. 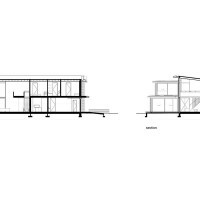 In the design, an attempt was made to leave the direct surroundings as intact as possible, the house is placed on a deck that seems to hoover above the ground, and a large part of the existing trees on the lot have been preserved. To blend in the design furthermore, the remaining part of the surrounding garden will have the character of the adjacent moor. 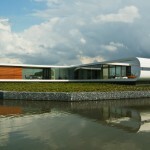 The villa opens up to the garden and the moorland . 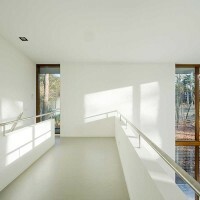 From the double-height living room, the residents have beautiful views of the pine trees and the moor. 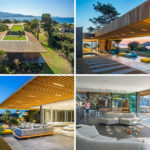 Through the high glass façades the surrounding landscape becomes part of the inside space of this residence. 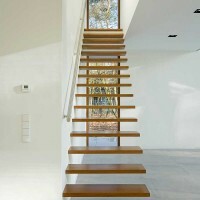 This effect is reinforced by the finishing of the floor, which is the exactly the same both inside and outside. Building the villa was finished right before the end of 2014.